LLwyn yr Helm Holiday Home Park01341 450254work Holiday Home ParkIf you want to get away from the “hustle and bustle” of daily life to spend time in the tranquil countryside of this picturesque part of Wales, Llwyn yr Helm is the place to stay. 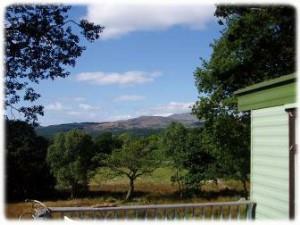 The park is set amongst beautiful farmland, mountains, valleys and woodlands in the Snowdonia National Park in Mid Wales and is a small family run caravan park on a working hill farm in the picturesque village of Brithdir. If you want to get away from the “hustle and bustle” of daily life to spend time in the tranquil countryside of this picturesque part of Wales, Llwyn yr Helm is the place to stay. Llwyn yr Helm is sympathetically landscaped to accommodate pitches for 42 owner-occupied caravans with services and parking provided to each caravan. Half a mile off B4416 which is a loop road from A470 to A494 in the village of Brithdir.